BoaVista Country House, based in Rua Central nº 87 Gemeses 4740-498 Esposende - Portugal, is registered in the name of Carla Maria Abreu Sousa Carreira with the NIF (identification number legal person) 174526270. The privacy of the User is important to Boavistacountryhouse.com. Boavistacountryhouse.com undertakes to respect the privacy of the User and to process their personal data in a careful and confidential manner, in accordance with the applicable laws. The data will not be processed for any purpose other than those specified here. The completion of the contact request form on this website or any Boavistacountryhouse.com form, as well as the request for contact or quote for any email or telephone number of Boavistacountryhouse.com is provided as a voluntary indication of data and is understood as a express declaration of acceptance by the customer to our data protection policy. Boavistacountryhouse.com may at any time modify, add or delete any of the privacy policies of its website (www.Boavistacountryhouse.com) by updating the content of this page. What kind of data is collected by BoaVista Country House? Boavistacountryhouse.com collects data about its clients, and its collaborators, namely name, address, taxpayer's number, email and telephone number (s). Boavistacountryhouse.com retains the personal data for the period of time necessary to carry out the purposes that justify its communication with the client. In particular, they may be stored for a period of time necessary for warranty and service, unless otherwise specified by the customer. For what purposes does BoaVista Country House collect personal data from the User? The data provided by the Client will be processed and stored in a computerized manner, and will be used by Boavistacountryhouse.com for direct marketing, customer management, accounting, tax and administrative management, management and litigation and fraud detection. Does BoaVista use personal data for Direct Marketing? Boavistacountryhouse.com may use your personal data to send you any junk mail related to products or commercial offers that may be of interest to you, as well as satisfaction surveys. Boavistacountryhouse.com does not sell or trade your data. The customer expressly authorizesBoavistacountryhouse.com to send information about products and services that may be of interest to you using your personal data for the purpose of direct marketing through any communication channel, namely through the use of electronic mail, telephone, SMS, MMS or other forms of automatic calling. Boavistacountryhouse.com will not market or share its customer database with third parties. Who has access to the user's personal data? Boavistacountryhouse.com does not disclose to third parties any personal data of its Customers and Users, without their consent, except (1) when it is necessary for Boavistacountryhouse.com employees, employees, suppliers or business partners to provide a product or service. service or perform a function on behalf of Boavistacountryhouse.com, or (2) when required or permitted by law. Boavistacountryhouse.com will adopt security measures to ensure that its employees or employees with access to personal data are properly trained in their correct processing, with respect to this policy and legal data protection obligations. In the event of non-compliance, Boavistacountryhouse.com will apply disciplinary sanctions to its employees and employees. Whenever Boavistacountryhouse.com discloses the personal data of the User will safeguard compliance with the General Regulation on Data Protection, namely by providing contractual provisions to ensure that the third party uses the data received only for the purposes specified, and in accordance with the for the purposes described in this policy, and which makes use of appropriate security means in order to protect the User's personal data against illegal or unauthorized treatments as well as against their accidental loss, destruction or other harmful actions. Where are User data stored?  Boavistacountryhouse.com stores data for its customers and Users on its servers located in Portugal. These servers are protected and maintained in accordance with high standards of security and in order to comply with the applicable privacy laws. Are User data secure with BoaVista Country House? Boavistacountryhouse.com has taken the necessary technical and organizational measures to adequately protect your data regarding unauthorized processing and access. Boavistacountryhouse.com implements appropriate security measures to prevent the unauthorized or illegal use of the User's personal data, as well as its loss, destruction, or damage. However, Boavistacountryhouse.com can not provide an absolute guarantee regarding the data of the User. Boavistacountryhouse.com protects the security of personal data through the following means: (1) use of encryption with certificate in software containing personal data, (2) use of password to access the server; and (3) limitation of access to personal data (for example, access only to employees or employees of Boavistacountryhouse.com who need to access them for the purposes described above). And when there are links on the website? If you use a link available on this website to another website and provide personal information on that site, the processing of the data will be subject to the privacy statement of that website. Cookies are files that store information on the user's hard drive or browser, allowing websites to recognize it and know they've visited them before. Cookies are used to monitor and analyze the use of the website, allowing Boavistacountryhouse.com to better identify and serve the User. Boavistacountryhouse.com does not share cookies with third parties, including external data providers or websites. What are the rights of the User with respect to the data? According to the General Regulation of Data Protection, as the holder of the data has the right to request access to personal data concerning him, his rectification or erasure, the limitation of his treatment, the right to object to the treatment, and the right to portability of the data, in the cases and in accordance with the applicable legislation. If you withdraw your consent, this does not compromise the lawfulness of the treatment made up to that date.